Today I thought I would share this wonderful song “Running Up That Hill” by Kate Bush. It is from her seminal 1985 album “Hounds of Love”, which as I mentioned in this blog on the best albums of the 1980s, is one of my favourite albums from that decade. If you haven’t listened to “Hounds of Love” then I highly recommend it. The first side has the four hit singles “Running Up That Hill”, “Hounds of Love”, “The Big Sky” and “Cloudbusting”. These and the other song “Mother Stands for Comfort” on the first side are great songs, and would make “Hounds of Love” a good album on their own. But, for me, it is the second side of this album which elevates this album to a higher level. The second side is subtitled “The Ninth Wave”, and is a voyage through the story of a person lost at sea at night, but who is ultimately saved. Kate Bush has been in the news quite a bit this last week because she has been performing her first live shows since 1979. That is 35 years! After bursting on to the scene in 1978 with her hit song “Wuthering Heights” as a tender 19-year old, Bush has been one of the most innovative artists in music. 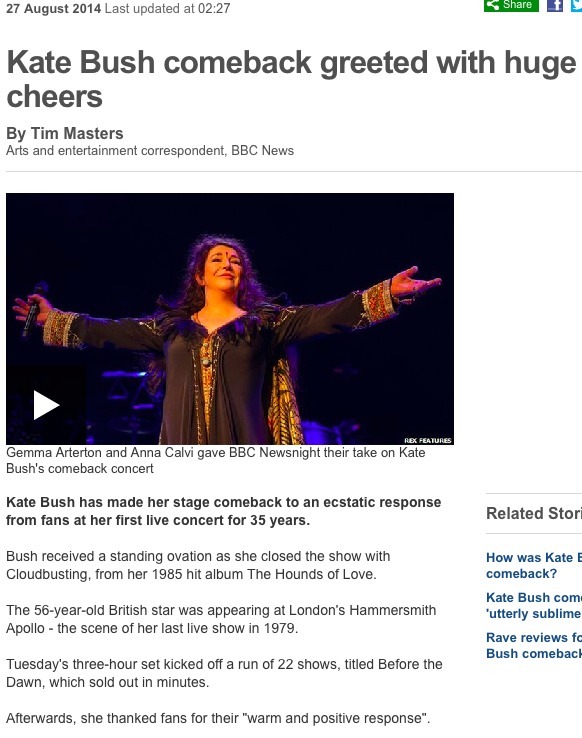 I vividly remember seeing Bush performing “Wuthering Heights” on “Top of the Pops” back in 1978. The song’s unusual lyrics, her singing and per ballet-style dancing were like nothing I’d heard of seen before. I must admit, not all of her work is to my liking, but the songs of hers which I like I like a lot. This week, Kate Bush has been performing live for the first time in 35 years. As part of the renewed interest in Kate Bush, the BBC ran a very interesting documentary about her career so far on BBC4 last Friday. Here is the link to that programme, it is well worth watching. In that documentary I learnt that “Running Up That Hill” is Bush’s biggest hit in the US, and it got to number 3 in the Disunited Kingdom’s singles chart. I find the song spell-binding, it is certainly one of my favourite songs by her. The video below also shows her dancing in a balletic style, at a time when most of her music contemporaries were dancing (or at least trying to dance) like Michael and Janet Jackson. Lyrically, vocally and visually, Bush has always done her own thing, setting her own trends rather than following others. “If I only could, I’d be running up that hill. Do you want to know that it doesn’t hurt me? Do you want to hear about the deal that I’m making? You, it’s you and me. Unaware I’m tearing you asunder. It’s you and me won’t be unhappy. Here is the video of this mesmerising song. Enjoy! 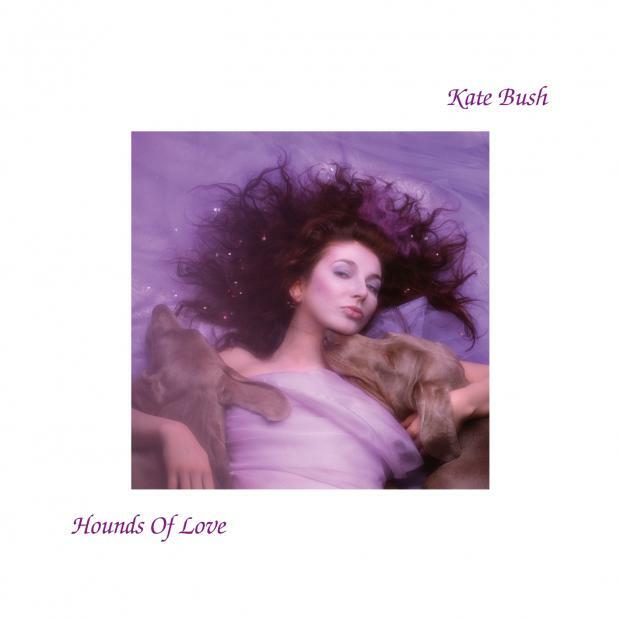 Which is your favourite song from “Hounds of Love”? Today I thought I would share this great song “The Whole of the Moon” by The Waterboys. The song was released as a single in October 1985 and is from their album “This is the Sea”. Although it was not as successful in the singles charts as some of their releases, it has since become one of their best known songs. The song was written and sung by Mike Scott, the founding member of The Waterboys. Scott himself said that he could not have written the song without having read the novel “A Winter’s Tale” by Mark Helprin. 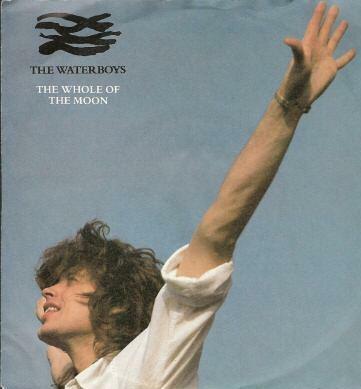 Which is your favourite Waterboys song? Sam Warburton, the Wales national rugby team captain, is currently in limbo as a casualty of the ongoing dispute between the Welsh Rugby Union and the four professional regions. Although he has always played for the Cardiff Blues throughout his professional career, last season he became the first (and so far only) player to be put on a central contract with the Welsh Rugby Union (WRU). However, for the past several months the WRU and the four regions have been in a dispute over the renewal of their agreement which determines funding for the regions and how players are released for international duty. I sincerely hope that the WRU and the four regions can resolve their differences. 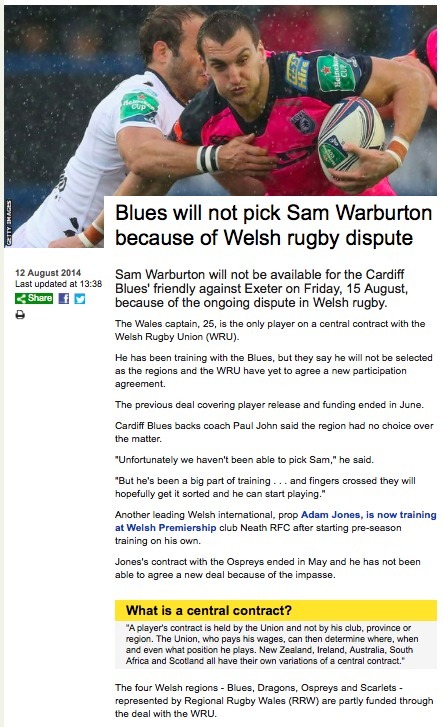 It is ridiculous that such a prominent player as Sam Warburton should be precluded from playing for his region because of this dispute, and Welsh rugby runs the risk of reversing the successes of the last 3 or so years in our national team if this dispute is allowed to rumble on. With barely more than a year until next year’s World Cup, the WRU and four regions need to resolve their differences sooner rather than later so that Warburton can return to playing regular rugby for the Blues, and the four regions can work with the WRU to ensure both regional and national success for our national game. 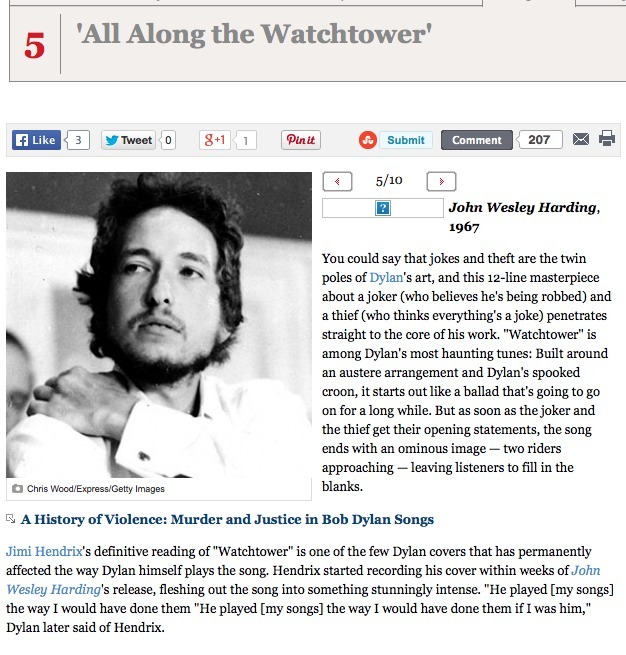 At number 5 in Rolling Stone Magazine’s list of the 10 best Bob Dylan songs is his 1967 masterpiece “All Along the Watchtower”. This song appears on Dylan’s 1967 album “John Wesley Harding”, his follow-up album to his 1966 double album “Blonde on Blonde”. In stark contrast to its predecessor, “John Wesley Harding” is stark and bare in its musical arrangements, and this song “All Along the Watchtower” is typical of the minimalistic style of most of the songs on the album. Not only is “John Wesley Harding” musically very different from “Blonde on Blonde”, but Dylan had also radically changed his physical appearance. Gone was the crazy hair and sunglasses, and instead we see Dylan with close-cropped hair and a thin beard. He has gone from looking like a crazed rock-star to looking like a demure family man, which is essentially what he had become. I have blogged before about this song, and as I’ve previously mentioned I am familiar with three versions of this song. There is Dylan’s original, Jimi Hendrix’s version which he first played live within days of the release of “John Wesley Harding”, and U2’s live version in the movie “Rattle and Hum”. The lyrics are a masterpiece of Dylan’s ability to create a story and vivid imagery, and ends with the listener wondering what is going to happen next after the two riders arrive. Here is a YouTube link to Dylan’s original version of this song, although how long the link will remain I am not sure. Enjoy! In this blog, I introduced the idea of angular velocity, which is the rotational equivalent of linear velocity. The angular velocity is usually measured in radians per second, where radians are the more natural measurement of an angle than the more familiar degrees. But, just as linear velocity is a vector and therefore has a direction, so too does angular velocity. So, what is the direction of the angular velocity vector? which of course leads to it being usually measured in radians per second. However, we can also write the angular velocity in terms of the linear velocity. To see how to do this let us remind ourselves of the definition of a radian, the more natural unit for measuring an angle. As I introduced it in this blog, measuring an angle in radians just means dividing the length of the arc by the radius of the circle . where is the vector product (or cross-product), as I discussed in this blog here. 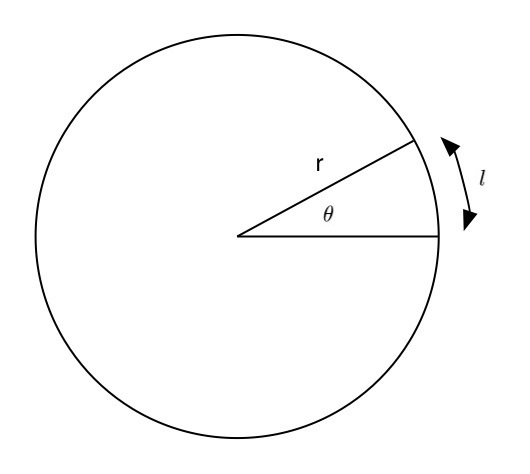 The direction of the radius vector is away from the centre of the circle, and the direction of the linear velocity for an object moving anti-clockwise is in the direction shown in the diagram below, tangential to the circle so at right angles to the radial vector . 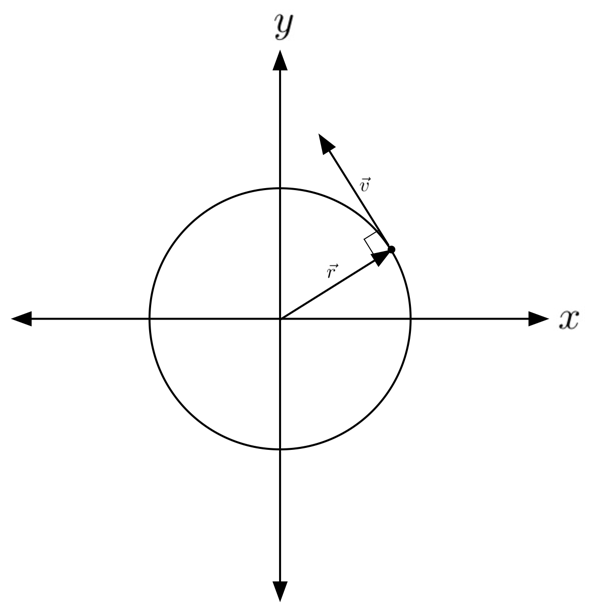 The direction of the radius vector is away from the centre of the circle, the direction of the linear velocity for an object moving anti-clockwise is as shown, at right angles to the radius vector. To find the direction of , we can use the right-hand rule, as shown in the figure below. In our example here, our first-finger is in the direction of the radial vector , and our second-finger is in the direction of the linear velocity , leading to the angular velocity (represented by the thumb) being outwards, or towards us, as shown in the figure below. The direction of the angular velocity vector is perpendicular to the plane of rotation of the object. 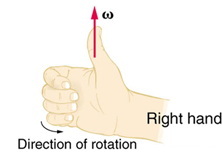 Another way to find this direction is to wrap the fingers of the right hand in the direction of the rotation, the thumb will then show the direction of the angular velocity vector. 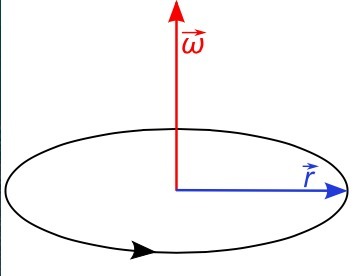 The direction of the angular velocity can also be found as shown in this figure.